The Honor Guard formed in 2011 to pay tribute to fallen firefighters and those who served their community, monies to buy uniforms, equipment, and training were donated by the City of Lawrenceburg and the American Legion Auxiliary. Charles Woods one of the founding members of the Honor Guard recently posted on face book that they were looking for a fire bell to purchase to use at firefighter’s funerals. 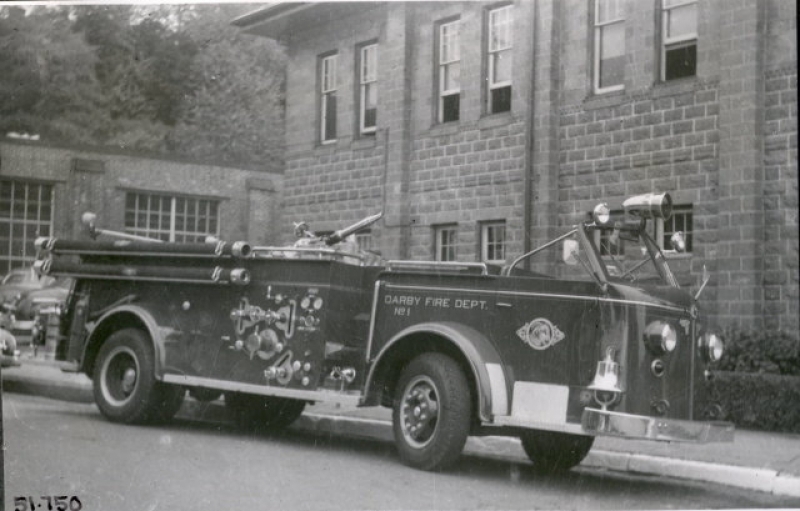 I noticed the post from Woods, said Kevin Carry Historian of Darby #1, we have accumulated several retired fire bells from apparatus over the years and they have been in our archives waiting to be used again in display or decoration. When I saw the post, I thought of our bells “to be used again as a symbol of Honor and Respect to those who serve by ringing out their last alarm”. The donation of the bell was brought up at our July Company meeting and passed unanimously by our members and notification of the donation was sent to Lawrenceburg with much jubilation. 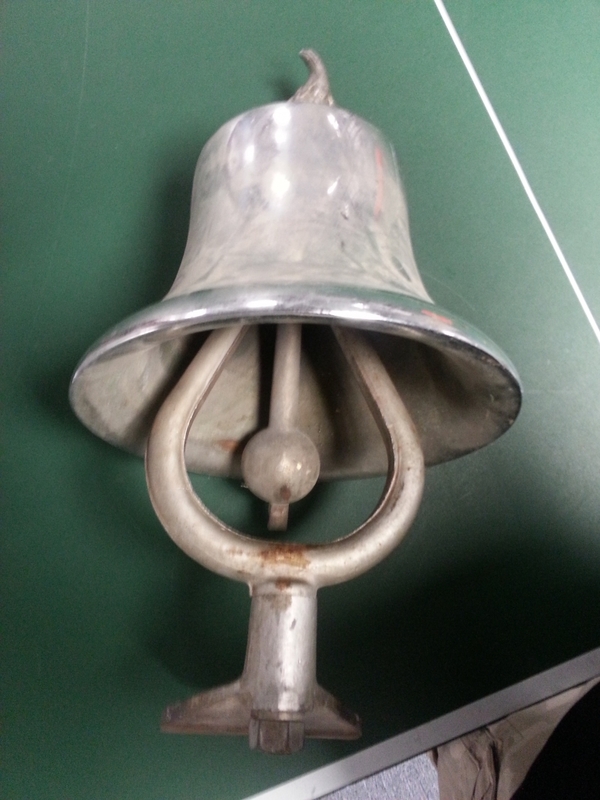 The bell we are donating to them is off our 1952 American La France pumper that was retired in the late 60’s. Bells used on fire apparatus goes back to the early 1800’s and was a audible warning device for approaching hand drawn fire engines responding to a fire call. Bells were used up until the 1970’s and can be found on some pieces of apparatus today, but it is more of an icon of fire departments past. The bell was shipped on Tuesday by UPS and weighed in at 56 pounds, and it was received today in Lawrenceburg, Charles Woods from Lawrenceburg contacted me today and was elated on its arrival. Woods told me that they plan to keep the condition of the bell “ as is” with a little bit of polishing ,we want to show its service to Darby #1 since 1952 as a true fire bell and its new service in honoring those who gave all in our community, Thank You very much, he stated. It is an honor to have this bell in service again ringing out the Last Alarm to those who gave to their community, knowing that a little piece of Darby Fire Company #1 history will live on forever.